Q8-DEWANIYA: Choowy Goowy new cookies! 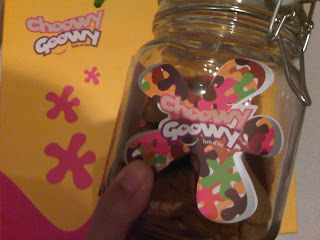 Yesterday i received VIA BBM that Choowy Goowy's new Kinder cookies are available, i ordered 2 jars to try it and it was one of a kind. 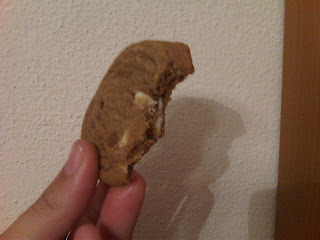 this is a must try cookie! i know 7addah 3ajeeb ! hehehe btw I love caribou cafe too :P oh where can I find it? looks cute to me. shakla eshaweegggg was it good? which caribu hatha min choowy goowy! alot :) u have to try it! i didnt understand what u just said or asked but i meant ur pic display , the one ur holding a glass of caribou thingy and about choowy goowy where can i find it? and choowy goowy have a home delivery, hawalli branch and the avenue o u can find there number by clicking on the web!